In our recent global survey, more than 33% of people who have moved admitted they’d love to use bright colours in their new home, while 13% even claimed they’d like to paint their walls black! Choosing Dulux colours from the darker end of the spectrum is a quick and easy way to add personality to your new home: creating a sophisticated feel minus the designer price tag. But when it comes to actually buying the paint, many of us tend to shy away from using darker shades as we’re unsure how to use them. It’s only natural to reach for white when you’re trying to make a small, dark space feel larger. 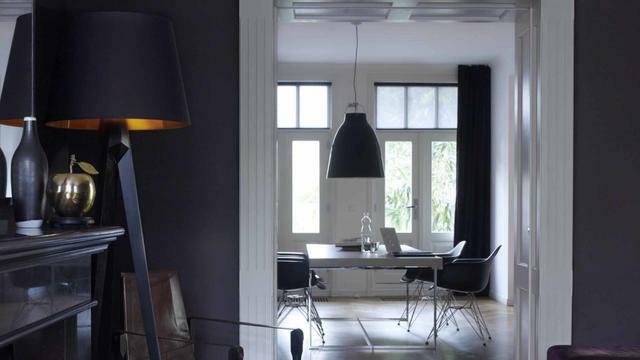 We’re conditioned to believe that darker house paint colours will make a room feel more enclosed. But some darker shades – such as deep, inky blues – are actually recessive, meaning they will add depth to your space and make a room feel larger. Choosing a darker colour scheme is a great way to make a room feel instantly more cosy and intimate. 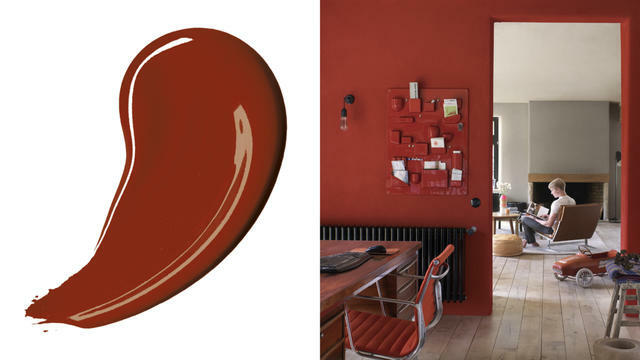 Consider using rich, deep reds or chocolaty shades that tend to pull walls closer towards you, and will make a large room feel instantly warmer. Painting woodwork (such as skirting boards and door frames) or recesses in a darker hue is another clever way to create the illusion of space in your home. 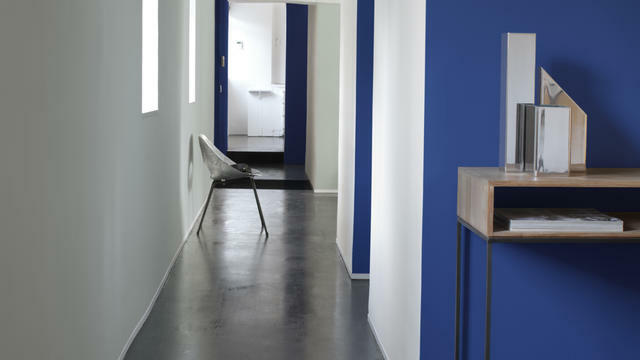 Deep, royal blues will look crisp and fresh against lighter coloured walls, while a coffee coloured hue will fit with a more neutral colour palette. A dark, bold colour scheme will immediately add drama and flair to your new home. 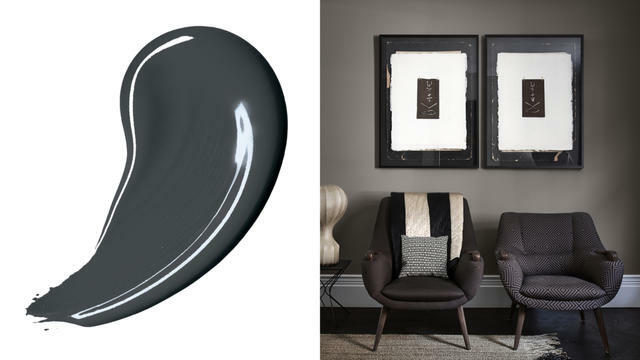 Deep charcoal grey is a versatile choice that will go with just about anything. If you’re unsure where to start, download our Dulux Visualizer app to your Smartphone or tablet to help you make a decision. Simply hold the Visualizer app up to the wall you want to paint, choose a colour from the Dulux colour palette and tap to see immediately how your room will look. If you do decide to embrace darker walls, choose brightly coloured accessories for your home that will pop against more subdued shades.